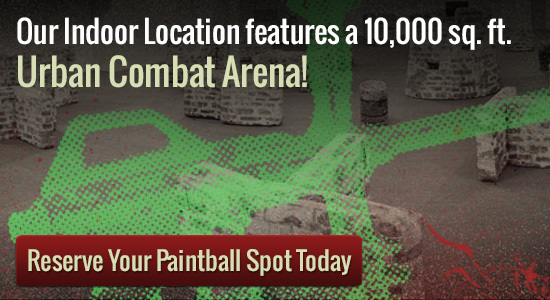 Looking for paintball indoor in the Twin Cities? Splatball in Minneapolis and Air Assault in Maple Plain both have indoor paintball fields. If the weather is less than ideal they are a great place to bring a group of individuals together to play paintball. If you are worried about the weather, Paintball indoor is a perfect activity to reserve. It still a lot of fun no matter what time of year it is, though playing indoors doesn’t give you the outdoor experience. The groups have to be a total of eight individuals or more if you would like private group play. We are set up to take 150 or even more people at one time. Paintball is perfect for groups, for this will help bring men and women with each other to be effective together. Usually the teams which come will likely be for any birthday celebration, youth group team, bachelor celebrations, or even corporate occasions. It’s a great way to have a personal celebration as well as enjoy yourself. So as to make a reservation for exterior paintball, you need to speak to Action Load Paintball at 612-378-0385. Those who really like actively playing paintball at all times could get a time of year successfully pass that is good at every one of our spots, no matter if indoor or outdoor. The season move is simply $50 on an whole year. It offers great benefits too and marked down offers for your period pass participants. There are many others kinds of go walking-on perform discounts and lease bundles available. For indoor reservations call Splatball at 612-378-0385 or Air Assault at 651-222-0300.